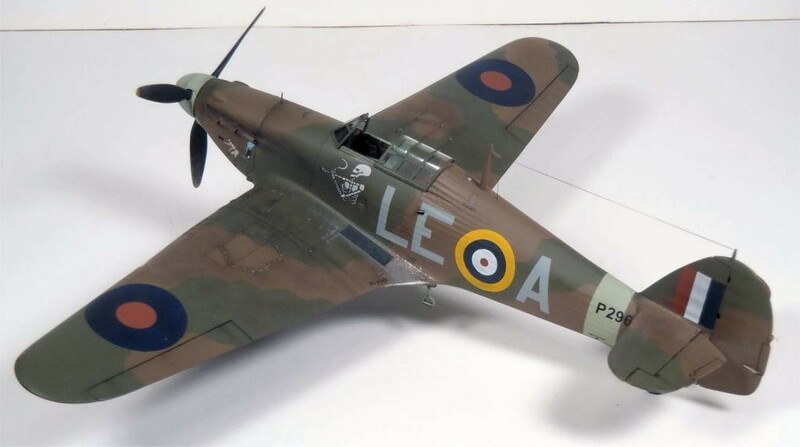 This is Italeri’s 1/48 Hurricane Mk I. Loads of improvements, alterations and scratchbuilding, but it’s done. Paint is Tamiya’s acrylics (custom mix for the dark earth), Mix of kit and IPMS Canada “Canadian Aces” decals, and weathered with oils and pastels. A great Hurricane! I red a lot of mixed review about Italeri’s Hurri, but Yours seems spot on. Thanks, Honestly, it takes a fair amount of work to finish, but it can be worth it – I’m looking forward to trying the Airfix kit – it seems to be the one to beat! 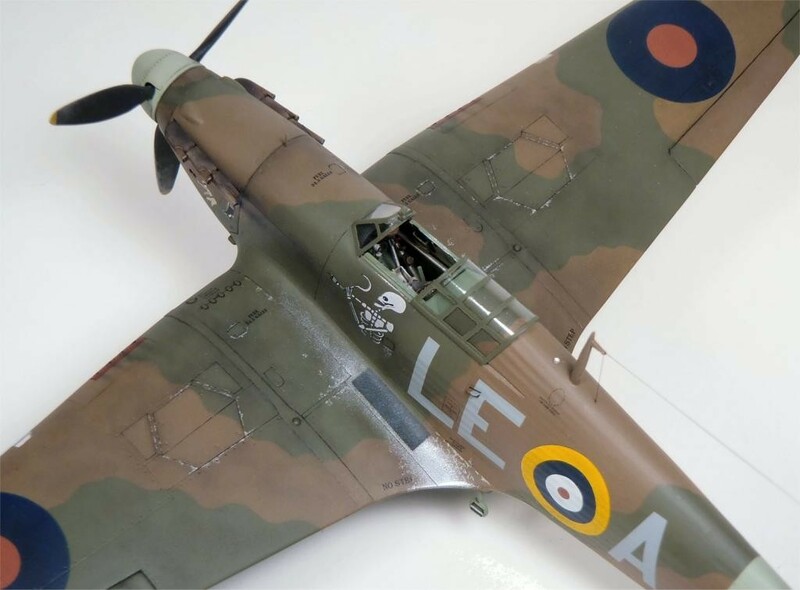 Airfix kit beats the Italeri on accuracy and price – a win-win. Beautiful Hurricane! I like the weathering – just subtle enough to give it a great sense of realism and not heavy-handed. Looks superb, Colin. Interesting to see a ‘snub nose’ Hurri as we don’t get to see too many of them built-up. 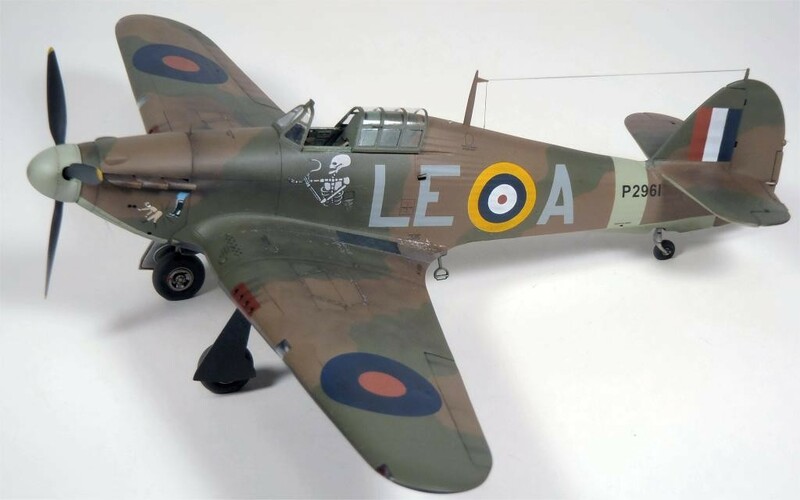 Wonderful hurricane, the weathering is just perfect – straight out of the summer 1940 skies. Turned out really well, Colin….a nice build right there. You’ll enjoy the Airfix Hurricane. Recommended. No engine, but optional open gun bays. There’s at least one on here in the A-Z builds. 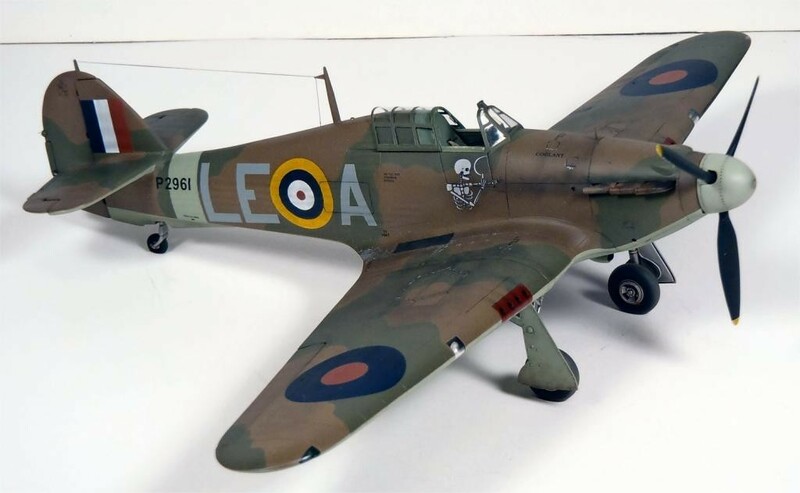 Awesome looking Hurricane – I love the weathering job you did! Great job, Colin! The weathering is superb. Brilliant Colin, great choice of subject – a legend in a great looking machine, to whom and which you have done complete justice! Very nice work on this Hurricane, looks like there will be another one coming soon as well. Gorgeous Colin ! Nice work all around on this ! Very enjoyable model. Superior finish. Low angle photos are really spot on. That one is a looker Colin, very nicely done and painted. The weathering is so well done and not at all overly done . 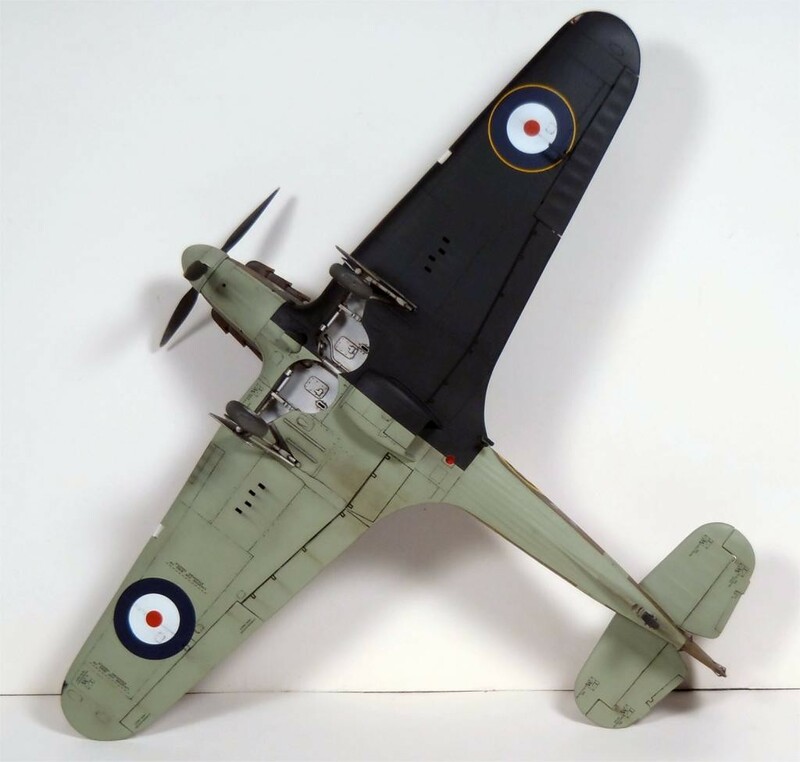 I am still searching for the 1/32 scale Revell rendition of the mount for pilot Stanford Tuck ( for nostalgic reason ). I have always liked the way the Hurricane and Spitfire looked with the different colors under the wings. This paint scheme and the desert version are my favorites…………. Yours looks very good. I really like it. AWESOME!!!! Well done on the terrific paint job and weathering on this one. Beautiful work Colin. Paint & weathering look just great!